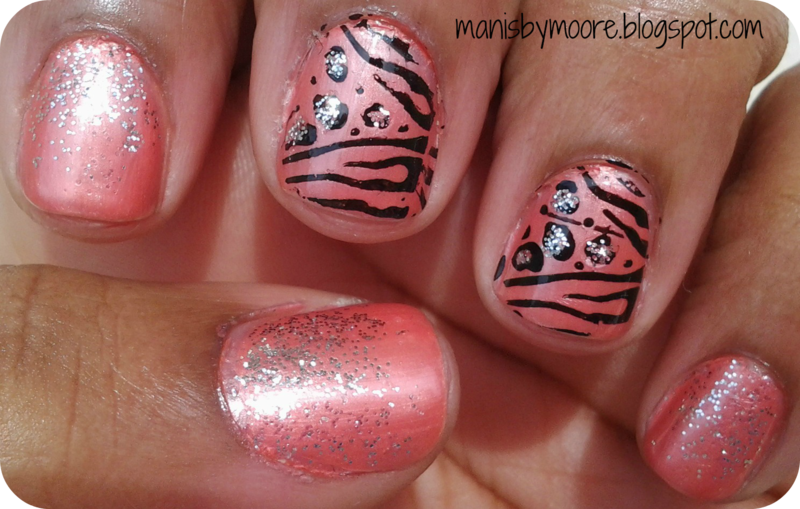 I love this mani and how it turned out! 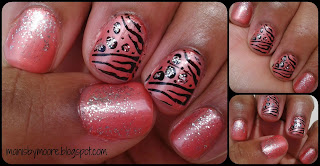 As you can see I used a stamp that "merged" two animal prints and "melted" the glitter into the base color. I may have reached a bit with the meaning of this prompt but I am happy with the way it turned out. This is my first time doing the glitter gradient from the base of the nail. I watched so many YouTube videos that said "it's easy". Yeah it's never usually easy for me. This was though. I may have went a little glitter crazy at first (on the pinkie) but got it together by the thumb. I plan on using this technique again. What do you think?? Do you like the merging or melting best?? Thanks for stopping by! Awww you are too!! Thank you!